The Department of Chemical Engineering at BITS Pilani, Dubai Campus is one of the premier chemical engineering departments in the Gulf region. Offering undergraduate program since 2005, the department enrolls students with exceptional caliber and to provide them with an environment in which they will grow intellectually and personally. The curriculum is distinctive in its emphasis on broad based education and direct intellectual engagement with faculty, a wide range of extracurricular opportunities, and the experience of living in a diverse campus community. Chemical engineering is undoubtedly the most versatile of engineering disciplines. No facets of modern civilization can be envisioned without some applications and contributions from chemical engineers. 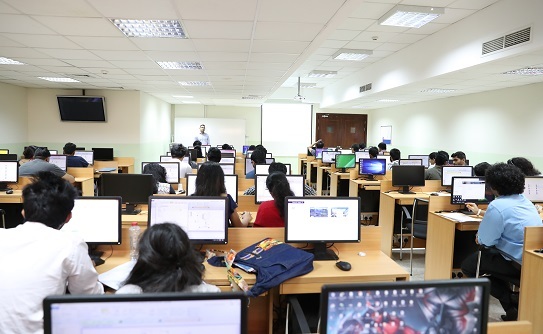 Through a judicious mix of mandatory and elective courses, the student at Dubai campus gains expertise in various areas of chemical engineering, apart from core chemical engineering principles, such as petroleum and petrochemicals, electrochemicals, paper, cement, ceramics and glass, polymers and plastics, food processing and products, paints and dyes, textiles and synthetic fibers, colloids, suspensions, emulsions, simulations etc. The department is engaged in fundamental as well as applied research. The department has excellent computational and experimental facilities, for both teaching and research. BITS’ Department of Chemical Engineering boasts a diverse set of research areas, which have wide-ranging applications in industry, potential solutions to energy problems, and the development of sustainable technologies, to name a few. The department currently offers an undergraduate program in chemical engineering. The curriculum is designed to equip the students with essential knowledge and necessary skills to enable him to undertake challenging tasks in industrial as well research environments. Career paths chosen by our students of batch 2018. Latest updated on 9th October 2018. Although we tried to collect as much data as possible, this list may not be complete. Please find the list here. The department has recently signed an MOU with Ocean Corner Water Treatment Equipment & Chemicals LLC to set up a research facility for water treatment and testing. Under the agreement, Ocean Corner Water Treatment Equipment & Chemicals LLC will set up a treatment plant and which will be used for research, consultancy and academic purposes.